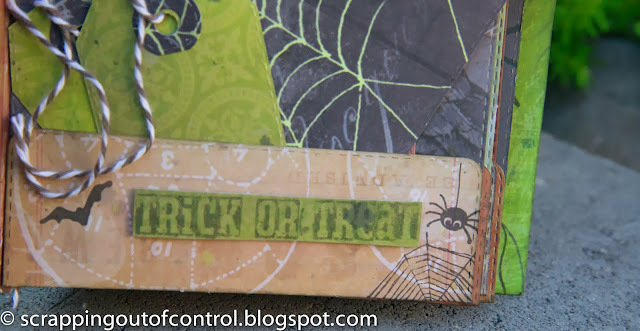 We are on day #5 of our Halloween Hustle and boy do I have a project to show you! I worked really hard on this and yes it took several hours! But I LOVE it! 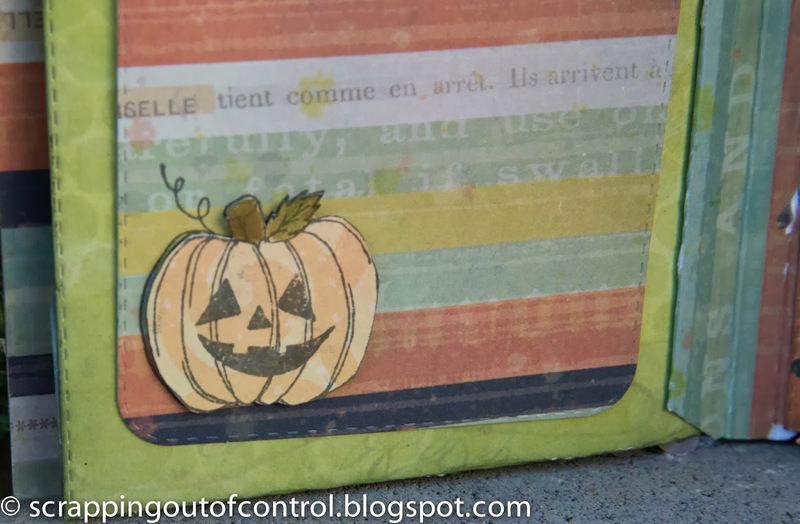 I used a ton of My Creative Time products on this cute little mini!!!!!! It measures approx: 4 1/2 inches in length and width. My pages were made from the Stitched 4 by 6 Journal Die. I just folded the bottom of the page approx. 1 1/2 inches and made them into pockets. I did this for each page. 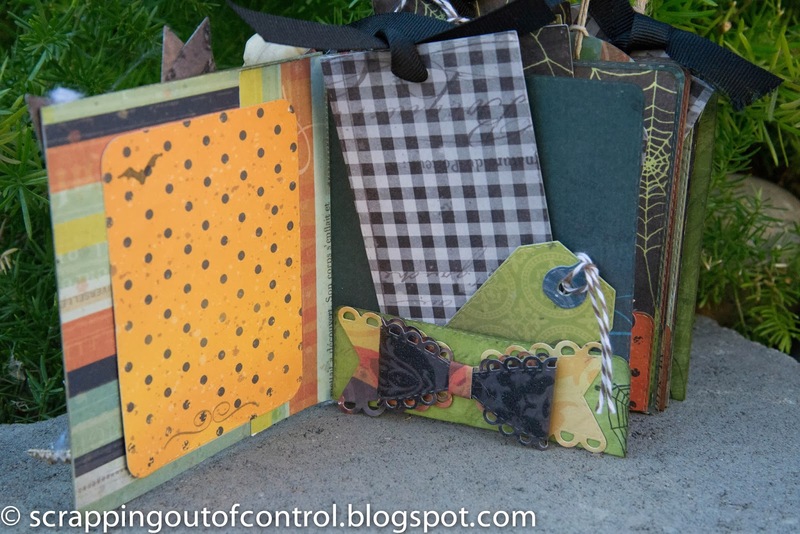 I used Kathy Orta's binding system to put the pages together. 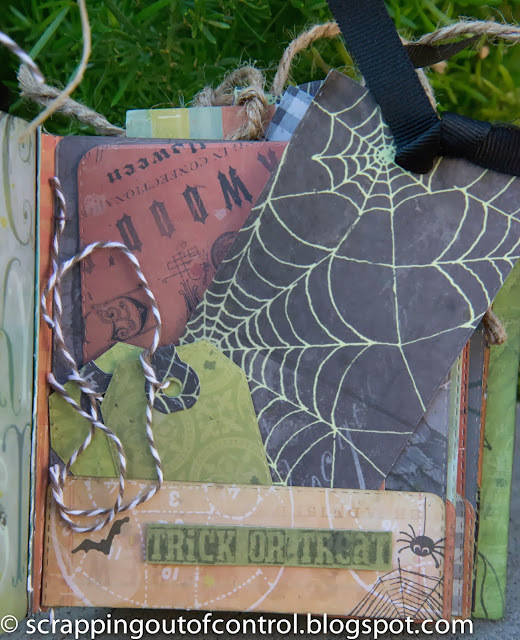 My mats are made using the Stitched Journal Die. 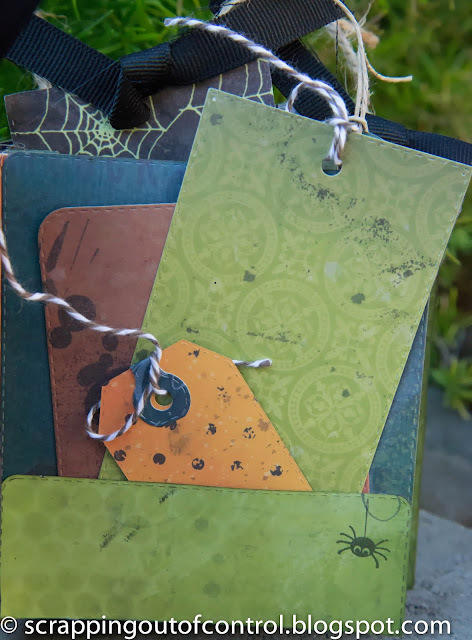 I added a bunch of tags and mini tags..yes it took a while but it is sooo cute!!!! OMG girl I love your min OMG it's sooo wicked awesome and love how you used all of Miss Emma's goodies. Now I'm sad....'cuz you've left me with a whole lot of creative envy. I so would love to know how you created your spine to your mini. You pics are awesome so maybe I can figure it out....NOT!! You are just soooooo talented, clever and .... and.....talented. Oh did I mention I so luv your Mini.....!!!! Your mini and all its details are amazingly spectacular, Nancy! Wow! You never cease to amaze me with your minis! This is awesome!!! Love all your elements in your mini book, love mini-books, but I don't think I could pull off something this darling! But I am thinking of ideas. THanks for the inspiration. WOW!!! This is AMAZING! 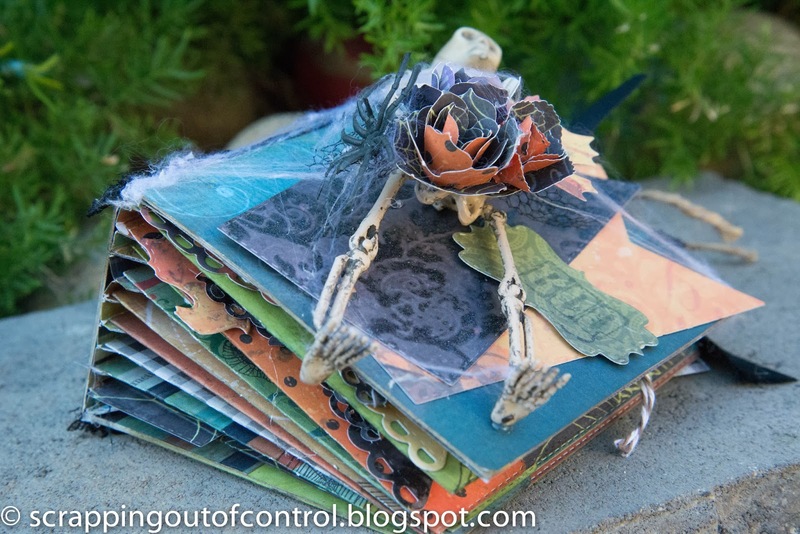 Love the spooky cover with the skeleton! The papers are spooky and so fantastic! LOVE all the details...so AWESOME! GREAT job! Wow! Your book is amazing! 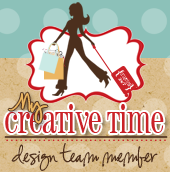 All the MCT products you used and all the detail is awesome! This is awesome Nancy! What a GREAT mini using all those FAB MCT stamps and dies! Wow, your mini book is just amazing. I can't believe how many MCT you used! Fantastic job. Wow, wow, wow!! Your mini is amazing!!! I love all the products that you used on this mini and of course I love the Kathy Orta binding!! The time you put in on this project is so worth it! Very cool project! I love it! Great use of all the dies to make this mini! I see my favorite bow in there too! Wow~ your mini came out so nice!! You can tell you put a lot of time and care into it and the end product is fabu! Great job! Gr8t job on that scary mini album! WOW! WOW! What a fabulous mini album! I just love this! Great projects this week TFS! What a fantastic album- your skeleton makes it extra special. Wonderful mini!!! 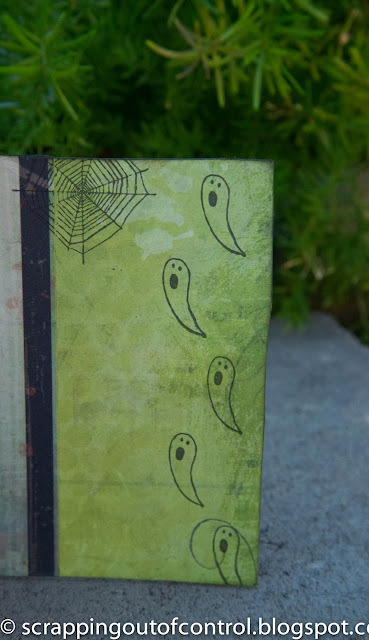 Each page is delightfully spooky. Thanks for the walk-through! Your mini is awesome! 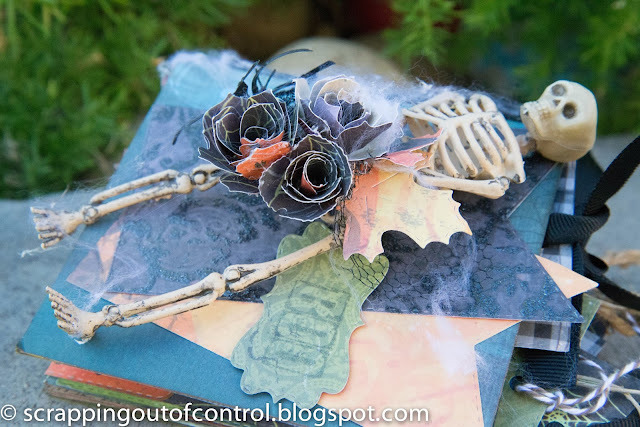 The skeleton is just right for the front and I like the roses. 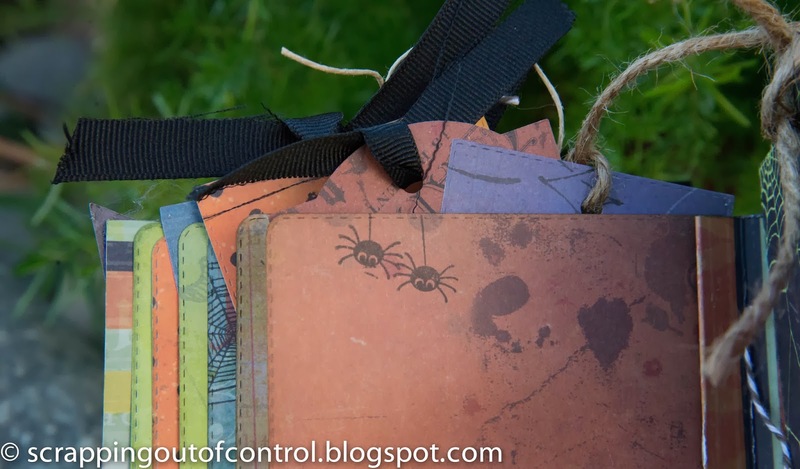 I love the bows and pockets filled with so many different tags. It must have been fun doing them. 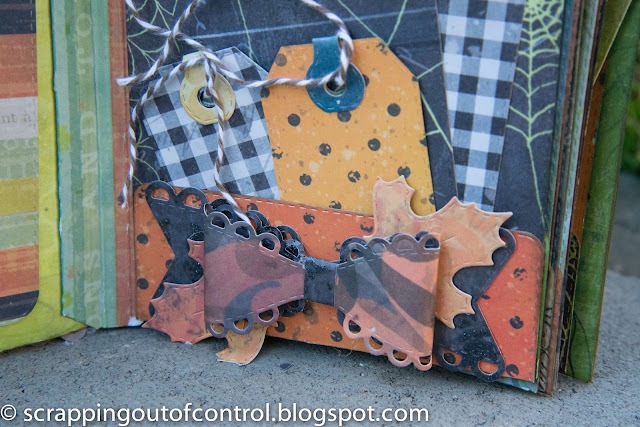 All of the stamping and papers look so wonderful...how fun is it we have many more fall/Halloween stamps to use. Great job! Wow your album is amazing. TFS. Oh. My. Goodness! Your album is nothing short of fabulous and amazing! Absolutely adorable! 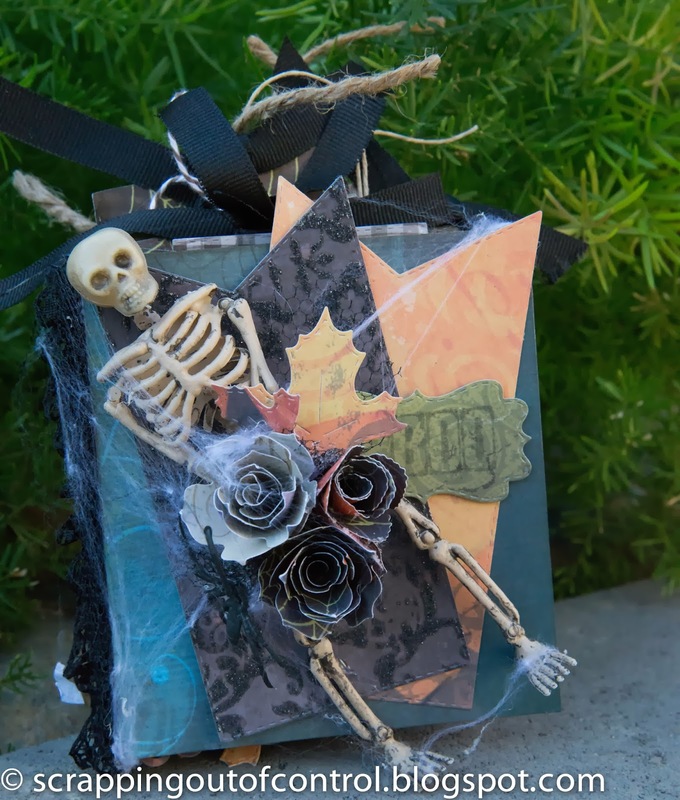 Your Halloween Hustle showcases have been delightful and inspiring! Thank you! Another fabulous mini album Nancy! 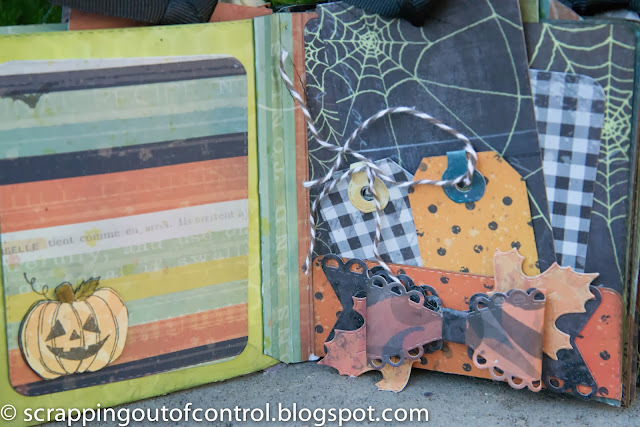 Love the details throughout the pages! Well done! TFS, Have a wonderful weekend! 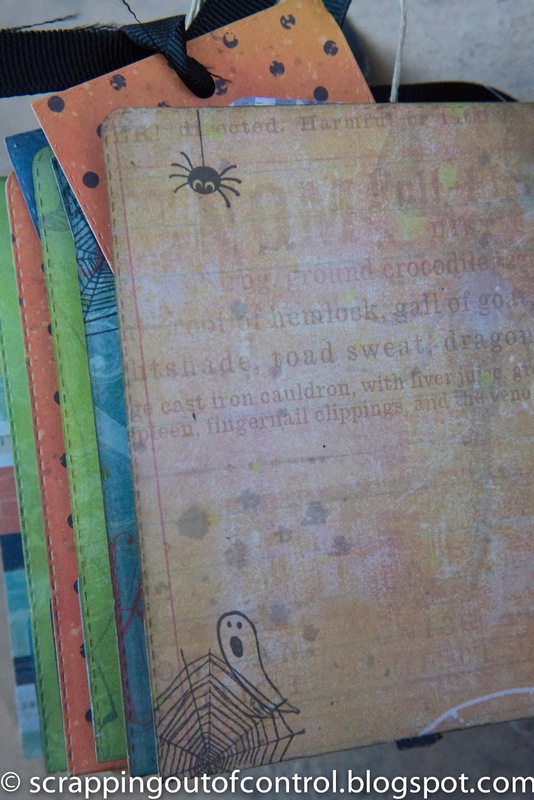 Wowzer, love this mini album, so many spooky details -I could look at this all day! Nancy ~ The queen of minis has struck AGAIN! OMG ~ you ROCKED this mini beyond words! Seriously jaw dropping FABULOUS!!! The details are INCREDIBLE!! !